Yes, The Box Office Force Is With ‘Rogue One.’ But How Much Force Does It Have? "Rogue One: A Star Wars Story" was predestined to dominate this weekend's box office. Whether it can be the year's best opening weekend remains to be seen. Not a lot of mystery to this weekend: It belongs to “Rogue One: A Star Wars Story” (Disney). Still, a couple of questions remain: Will it be the biggest first-weekend number of the year? And: Will the gross be 10 times bigger than whatever’s in second place? Lowball estimates for this intergalactic prequel/spinoff/adjunct/special event have it opening at around $150 million; that’s almost $100 million less than “Star Wars: The Force Awakens” exactly one year ago. Without the excitement of a first franchise episode in a decade, falloff is inevitable. This year, the best opening was $179 million for “Captain America: Civil War” in May, which had no Christmas competition and mild weather. Anything close to that number would be extraordinary. What is a sure thing is the overall Top 10 will show a steep decline from last year’s record of $302 million. In addition to “Rogue One,” there’s only one other wide opening: Will Smith vehicle “Collateral Beauty” (Warner Bros.). Last year, two counterprogrammed films — the Amy Poehler-Tina Fey comedy “Sisters” and “Alvin and the Chipmunks: The Road Chip” each opened to around $14 million. “Beauty” is one of Smith’s dramas, here playing a father grieving over a lost child and his friends’ offbeat efforts to give him reason to live. The low-expectation number for this effort is around $10 million. That would normally be a poor showing for Smith, but the pre-Christmas date and “Rogue One” competition suggests the date is intended to build word of mouth for the onslaught of holiday audiences on Dec. 25. It’s the same reason that three of the four wide releases next week chose to open on Wednesday. In this case, it also gives “Collateral Beauty” a chance to overcome dreadful reviews — the worst of Smith’s career. Pre-Christmas weekend sometimes has high-end platform releases (recently, “Her” and “Zero Dark Thirty”). This year has Denzel Washington’s “Fences,” which will open at four New York/Los Angeles theaters nine days in advance of its wide release. His adaptation of August Wilson’s acclaimed play already has been a leading entry in initial awards nominations. 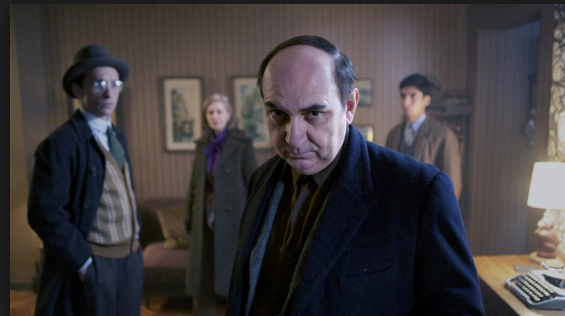 “Neruda” from Pablo Larrain (who also has “Jackie” in theaters) is timed with the hope that it makes the Oscar Foreign Language Film shortlist due later today. Apart from that, it also has the backing of even better reviews than “Jackie” to buttress interest in its initial three New York/Los Angeles dates.